The 15 Best Fall Activities to do in Wisconsin! There are so many great fall activities to do all over the state of Wisconsin - most of which have little to no cost. Get engulfed in Wisconsin's beauty by getting outdoors, exploring some hidden treasures, and enjoying a couple of classic fall activities. Here are the 15 best activities for a beautiful fall day in Wisconsin. Fall in Wisconsin wouldn't be the same without a pumpkin patch visit-specifically the Little Farmer in Malone, WI. There are so many great fun and family-oriented patches all over the state, but Little Farmer has everything from a gift shop, to a petting zoo, to fresh cider and caramel apples. Plus, they have a great pumpkin selection. Apple picking is one of fall's signature activities and a great way to get everyone out of the house. Hand pick this healthy fruit from early September to October at Door Creek Orchard in Madison. Make sure to bring your camera and snap some great photos of the scenery. This is a perfect way to support local farmers. The orchard has sealed apple cider, homemade honey sticks, and a sweet dessert treat available for purchase. Fall is arguably the best time to see the Packers play in person. If you have yet to visit Lambeau Field, it provides a life changing atmosphere-if it isn't below freezing. Winters get pretty cold in Wisconsin so a fall Packers game is a great way to spend a beautiful Sunday in Green Bay. Wollersheim Winery, located in Prairie du Sac, is a beautiful fall festination for many Wisconsinites. They host tours, tastings, events and have a wonderful gift shop. Wollersheim's property is a tucked away hidden gem with views that are unforgettable. Door County is one of Wisconsin's most visited destinations. There is a plethora of activities for all ages in the area. Set up camp before the days get too cool or rent out a cabin. Choose between hiking, outdoor theaters, drive-ins, and cool restaurants. Devil's Lake, located in Baraboo, is a profoundly attractive area of interest for many Wisconsinites. Its scenic views, geocaching trails, and camping give Devil's Lake State Park a high attendance rate. Bring your camera to capture some of Wisconsin's most breathtaking views. There's no better way to support local farmers or community members than by purchasing their goods. Purchase breads, homemade jellies, blankets, flowers, nuts, fresh produce, and so much more. Most farmers' markets run into the month of October, making this a perfect fall weekly tradition. The farmers' market in Madison is held at Capitol Square. Nothing screams Wisconsin like beer drinking. If you are on the search for some delicious, local, craft breweries-look no further than Rocky Reef Brewing Company in Woodruff. Wisconsin is home to over 25 breweries, which are scattered all over the state. Try a flight of brews to get the most out of the trip and be sure to taste test their seasonal brews as well. Make it a day trip by scheduling a brewery tour-tickets are usually relatively inexpensive. Highway 18 in Jefferson is great for the family or for date night. Fall nights in Wisconsin can be relatively cool, so make sure to pack some snuggly blankets. Most movies screened are recent flicks. What's even better is the fact that you usually get two movie screenings when you purchase (generally a kid's movie earlier in the night followed by their main headliner.) Fall closures depend on the specific location of the drive-in theater, but you can expect them to be open during the beginning of fall. Get some shopping done while enjoying the fall weather! Popular outlets in the area include Johnson Creek, Wisconsin Dells, Oshkosh, and Cedar Creek Outlet Malls. The outlets at the Dells has stores ranging from athletic clothing, teen apparel, children's clothing, and kitchen supplies. Shop for back to school gear or get a head start on holiday shopping-you will find a great deal here. 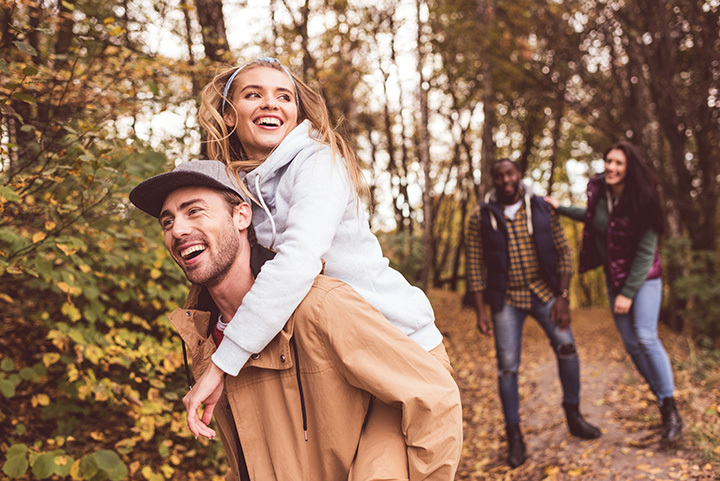 Going for a run or walk outside is a great way to stay active in the fall season. The Glacial Drumlin State Trail extends 52 miles, and allows you to take in Wisconsin's stunning scenery. The trees are just turning color and the temperature is at the perfect level for a little outdoor exercise. Gottfried Prairie and Arboretum located in Fon du lac is a 42-acre wildlife preserve. Gottfried Prairie contains trails, holds events, environmental programs, and is great for bird, animal and insect watching. This is a perfect way to get outdoors and observe nature. Schuster's Farm in Deerfield is one of the best corn mazes to get lost in. This is a must-do activity during Wisconsin's fall. It's always interesting to see the aerial view of their corn mazes once those are released. Grab the family, stick together, and master the corn maze this fall! Depending on the temperature that fall, golf courses in Wisconsin can stay open until November. Whistling Straits, located in Sheboygan, is a beautiful venue for some fall golf. Grab your clubs and schedule a tee time or buy a bucket of balls and head to the driving range. Get the family together and organize a beautiful fall photoshoot! Contact business owner Matt Ammerman of Ammerman Studios Photography to help create memories that you will cherish forever. With a backdrop of a beautiful Wisconsin fall day, Matt will make your day and photos look flawless.